The Quick Shade 10x10 Instant Mesh Canopy with Rain Cover is the perfect combination of air-flow comfort and rain cover protection. The air-flow system will keep the interior of the canopy up to 30 degrees cooler, while the removable rain cover will keep you dry in the event of a shower. This canopy is fully portable with a wheeled bag and sets up in a snap with its patented latch sliders and leg extenders. It comes fully assembled and provides 99% UV protection with its Aluminex backed fabric. Adjustable legs give you flexibility with four different height settings. 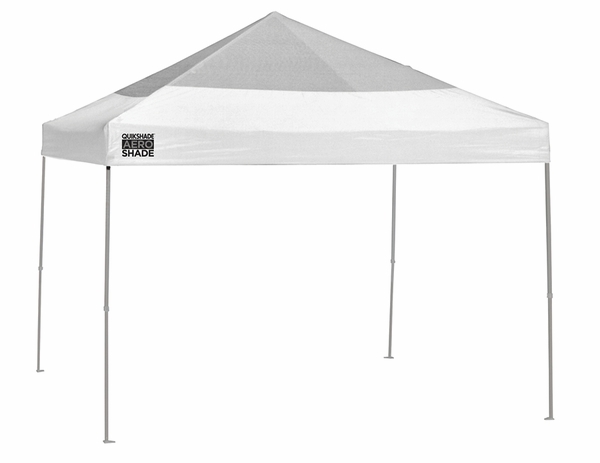 This is the perfect canopy for any of your outdoor occasions!